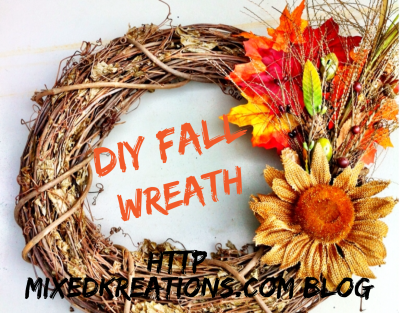 With Fall coming on I think it is time for a Diy Fall Wreath. 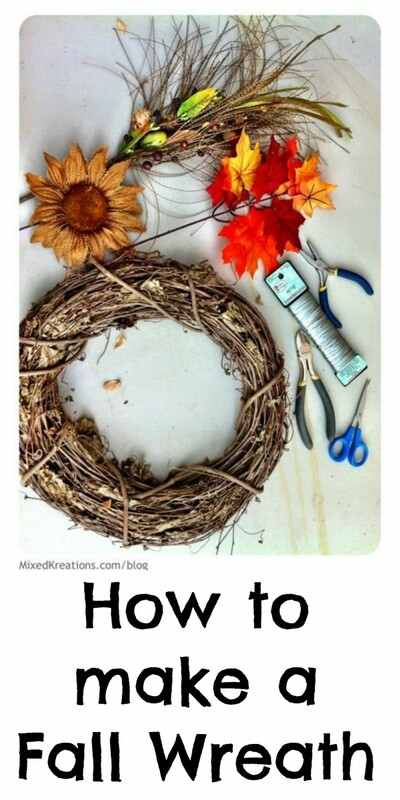 This will be the first Fall wreath that I’ve made. 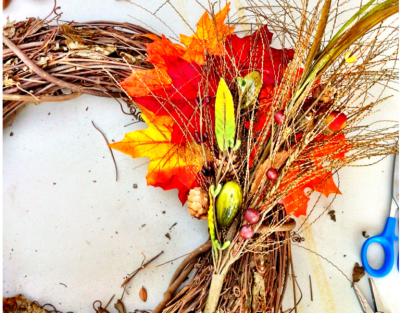 Decide how you want to layer your floral pieces onto your wreath. 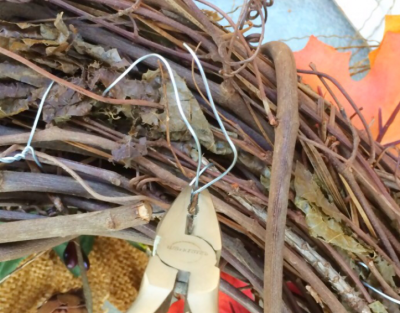 Stick the floral stem end down into the grapevine to help hide the end. Now run a piece of wire from the back up through the grapevine around the floral stem about half way up stem, then back down through the grapevine. Use your pliers, and twist wire together to tighten. Now take your second floral stem, place it in position as you did with the first. Use wire to tighten down and to hold in place. Do the same with your last floral stem as above. 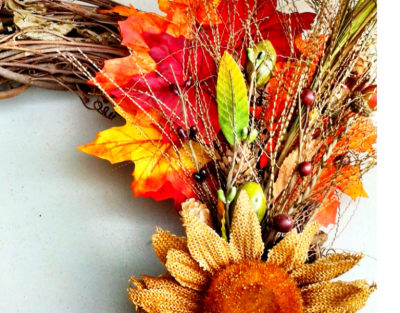 You could add a raffia bow if you wanted to. But I think I like it as is. 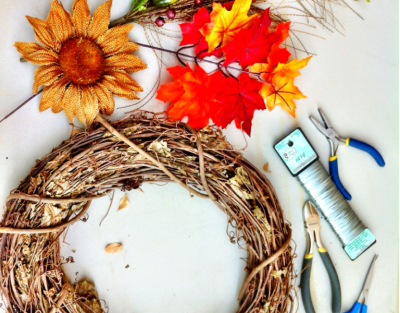 Do you have any fall projects that you’ve been working on?